The Metropolitan Opera today announced the names of nine finalists who will sing in the 2012 National Council Auditions Grand Finals Concert on March 18 at 3:00 p.m. with the MET Orchestra conducted by Andrew Davis. The finalists are: Janai Brugger, soprano from Darien, IL; Anthony Clark Evans, baritone from Owensboro, KY; Matthew Grills, tenor from Newton, CT; Will Liverman, baritone from Virginia Beach, VA; Margaret Mezzacappa, mezzo-soprano from Euclid, OH; Andrey Nemzer, countertenor from Moscow, Russia; Kevin Ray, baritone from Cornwall, NY; Lauren Snouffer, soprano from Austin, TX; and Michael Sumuel, bass-baritone from Odessa, TX. Bass-baritone Eric Owens, a past National Council Auditions winner, will host the concert and perform during the judges’s deliberations once the auditions part of the program is over. The finalists, between the ages of 20 and 30 years old, will be competing for individual cash prizes of $15,000 each at the Grand Finals Concert. 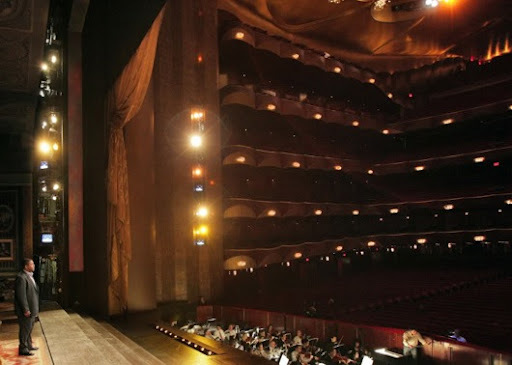 Even more important than the prize money is the contestants’ opportunity to perform with the Metropolitan Opera Orchestra on the historic opera house stage before an audience that will include opera company executives, artist managers, music critics, and other opinion-makers of the music world. They were chosen from nearly 1500 singers who participated in the auditions held in 41 districts and 14 regions throughout the United States and Canada, sponsored by the Metropolitan Opera National Council. Given the reach of the auditions, the number of applicants, and the long tradition associated with them, the Metropolitan Opera National Council Auditions are considered the most prestigious in North America for singers seeking to launch an operatic career. Some winners are invited to join the Metropolitan Opera Lindemann Young Artist Development Program. Past winners of the Met Auditions include many of today’s leading operatic artists such as Renée Fleming, Hei-Kyung Hong, Angela Meade, Susanna Phillips, Sondra Radvanovsky, Deborah Voigt, Susan Graham, Stephanie Blythe, Dolora Zajick, Nathan Gunn, Lawrence Brownlee, Thomas Hampson and Samuel Ramey. During a typical opera season, over one hundred alumni of the Auditions are on the Met roster. The Grand Finals Concert on Sunday, March 18 at 3 p.m. is open to the public. If you haven't attended the Met Auditions previously, I highly recommend it. Tickets from $20 to $115 are available at the Met Box Office, by phone at 212-362-6000, or at the Met’s web site.